Birtvisi Fortress is located in the Algeti gorge of Tetritskaro district. The oldest sources mentioning this fortress are from the 11th century. For hundreds of years Birtvisi was considered an impregnable fortress. It is located between inaccessible cliffs, surrounded by walls covering a total area of 1 sq. km. The tower “Sheupovari”, meaning ‘ unbeatable’ , is located on the highest wall of the fortress. According to Legend, the Birtvisi Fortress was overtaken by Tamerlane, and then Georgians retook the fortress in the 15th century. 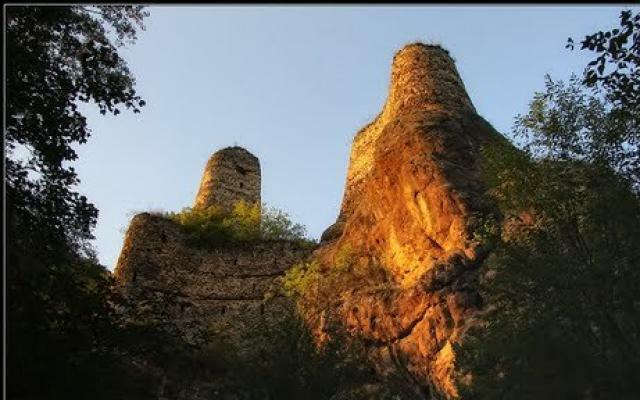 During late feudal times the fortress belonged to the Baratashvili family. The Khuluti Fortress is an excellent example of Georgian architecture . The palace, constructed with local cliff stones, is located in the narrow pass of a deep river gorge. The fortress is dated to have been built in the first half of the 18th century. The central fortress had two sections and is surrounded by a wall containing five towers. Each of the towers was mainly used for living purposes, although they were also used for defense when necessary.